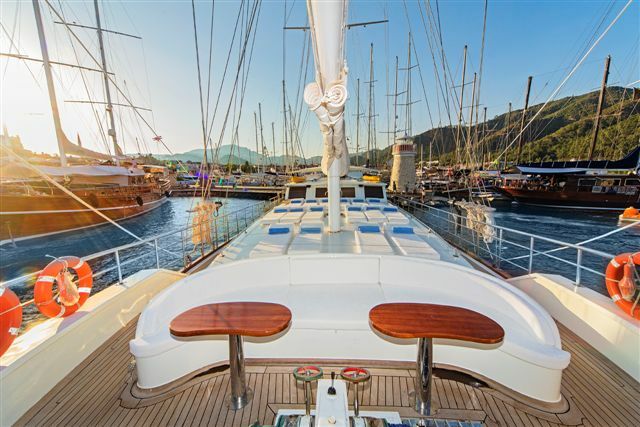 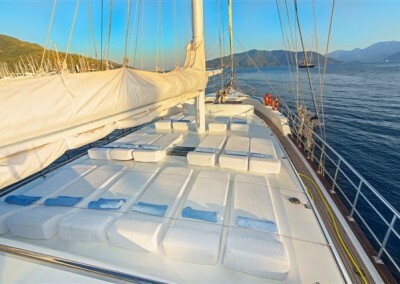 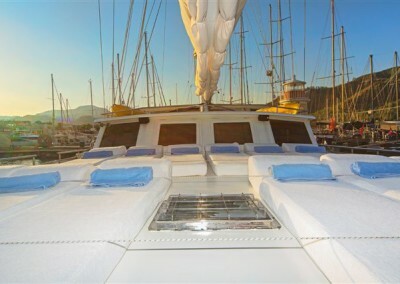 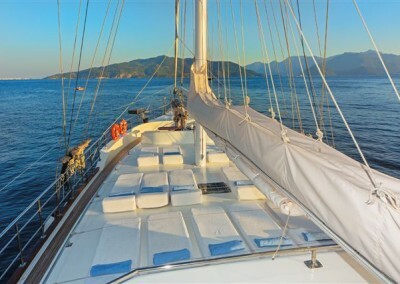 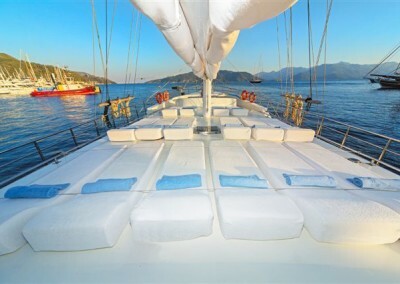 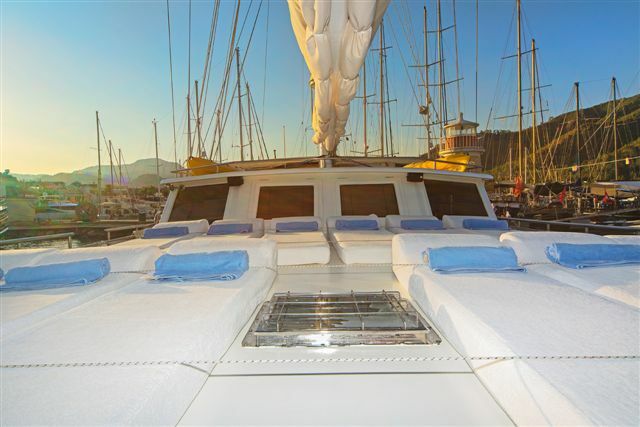 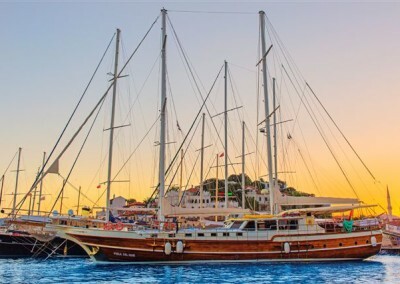 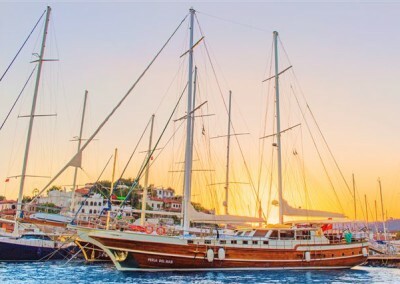 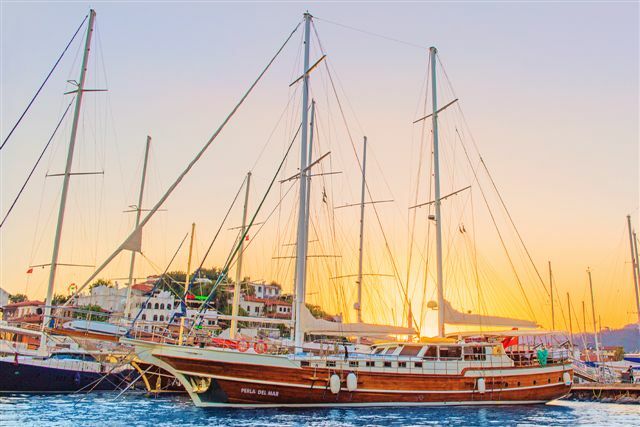 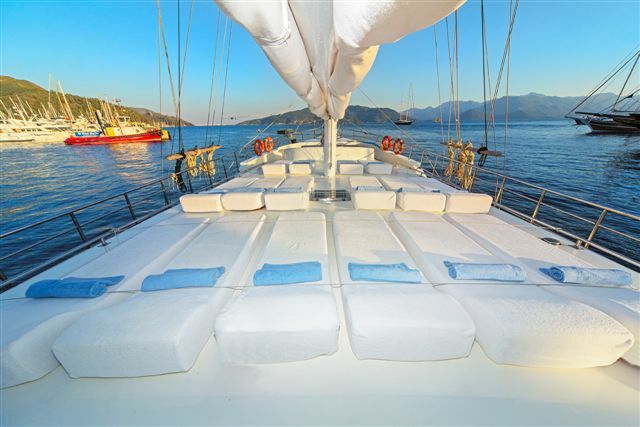 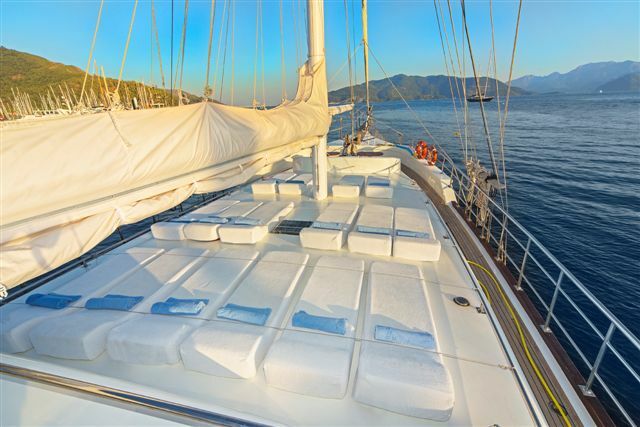 The Perla Del Mar gulet is luxury charter based in Marmaris Turkey. 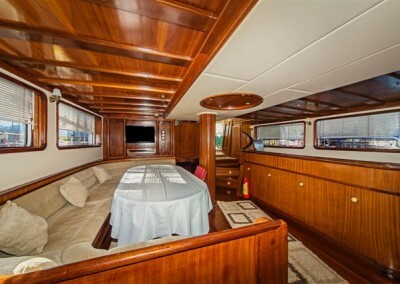 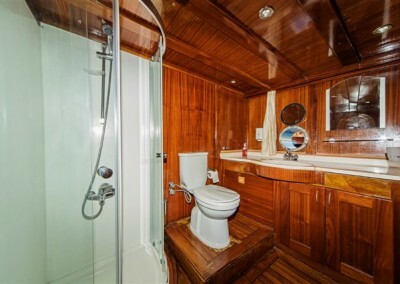 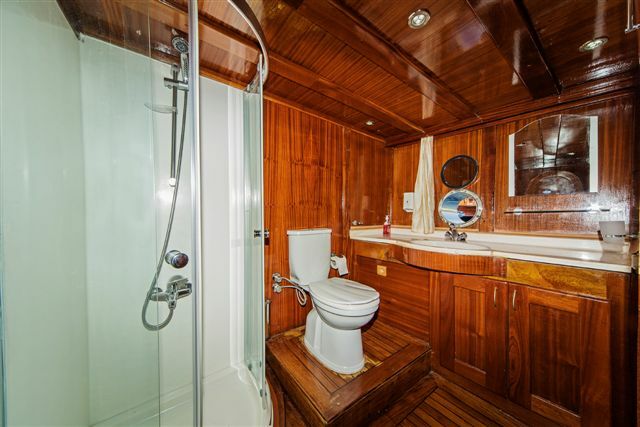 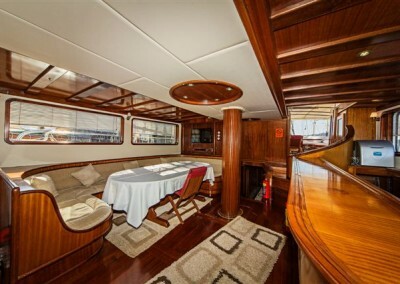 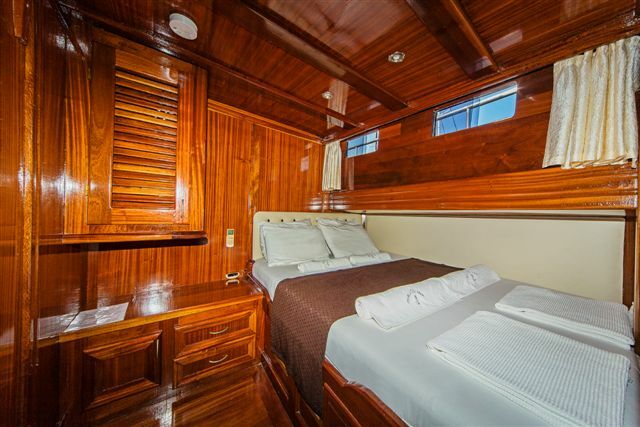 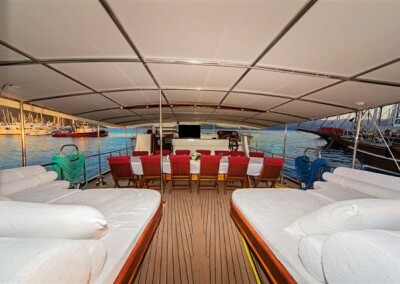 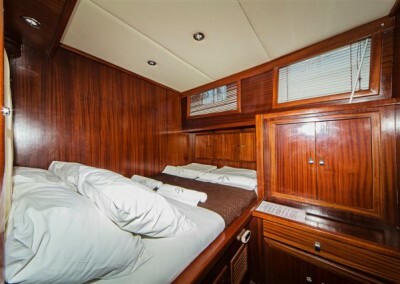 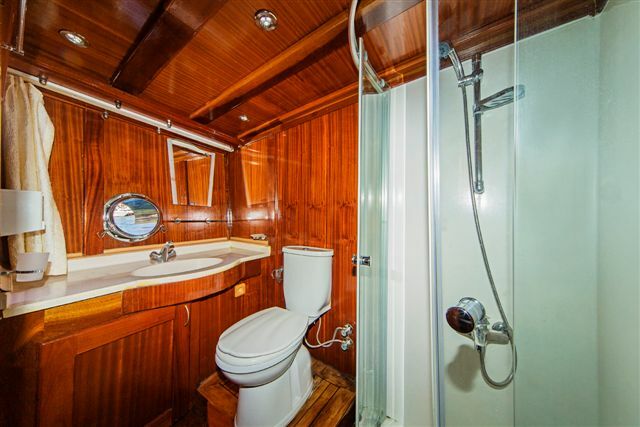 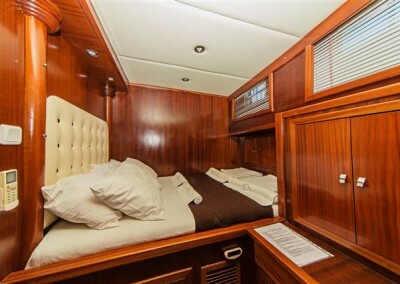 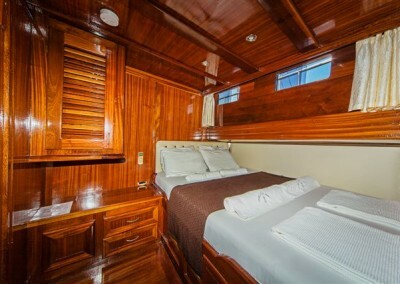 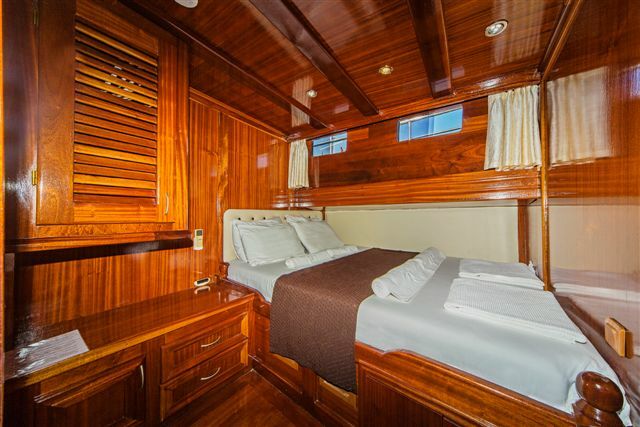 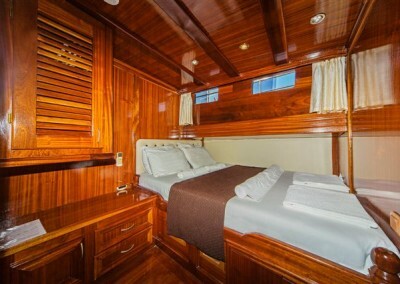 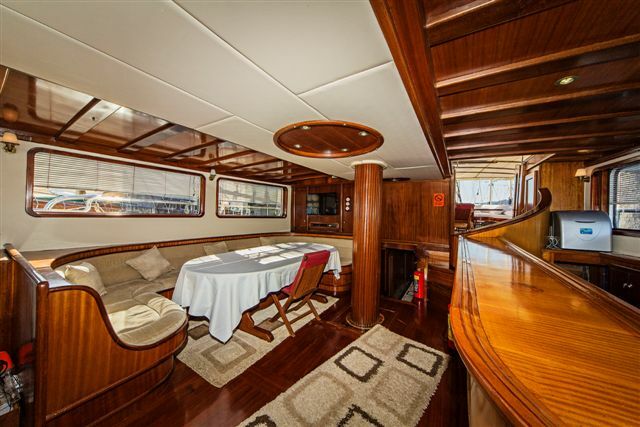 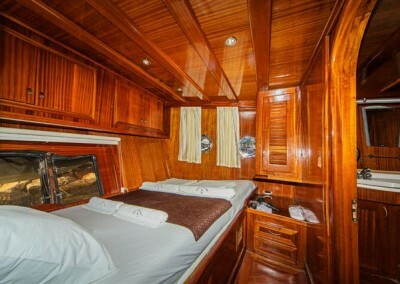 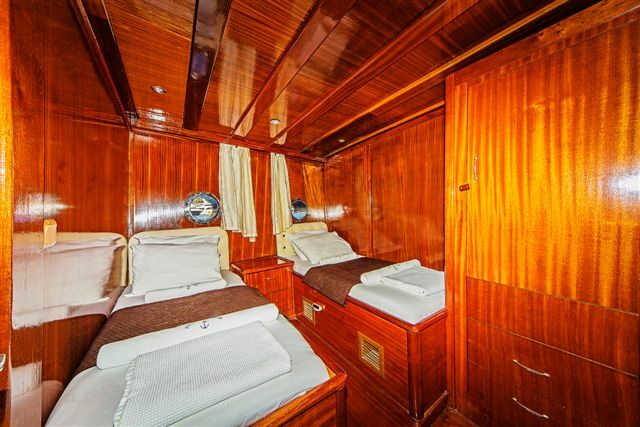 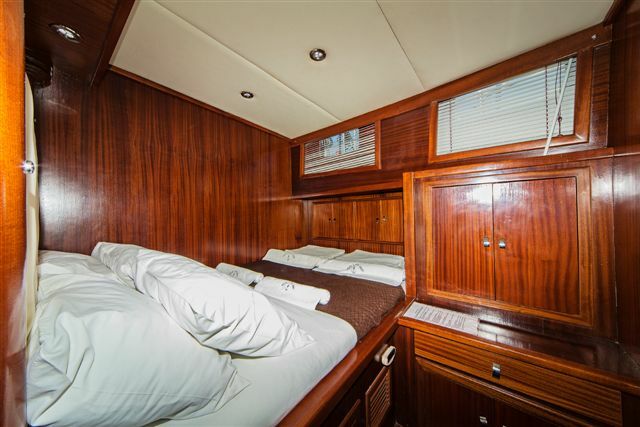 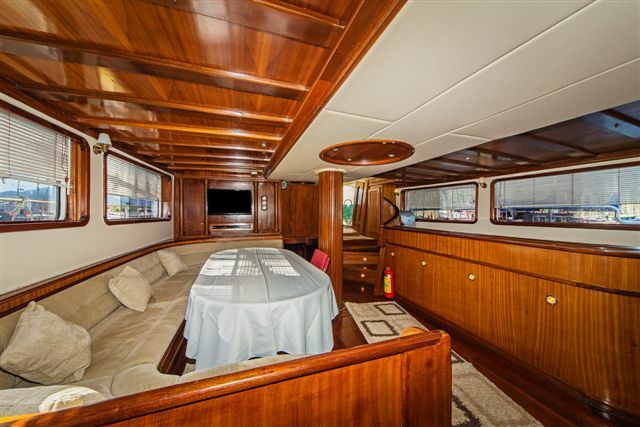 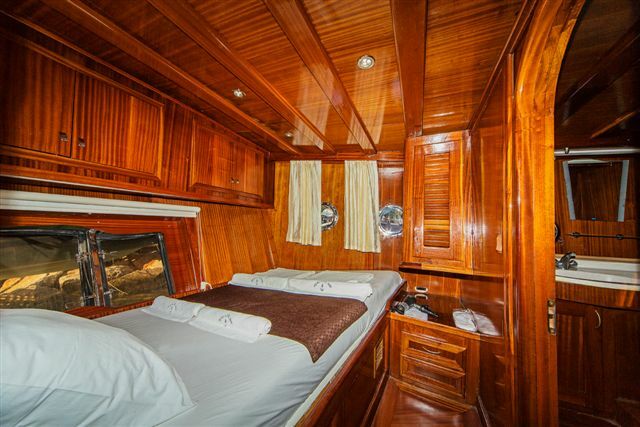 She accommodates up to 16 guests in 6 double cabins and 2 twin cabins. 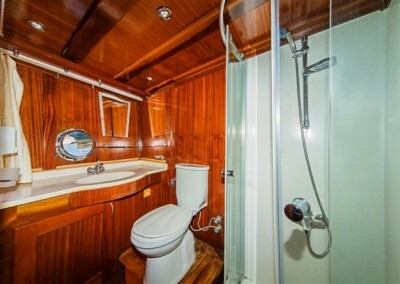 Each cabin is equipped with air conditioning and en suites. 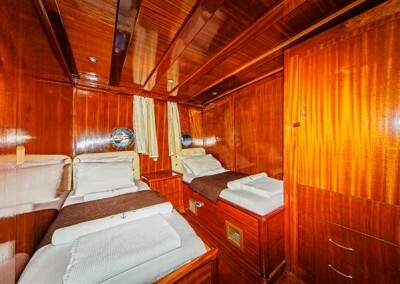 Superb comfort, good service, spacious all throughout. 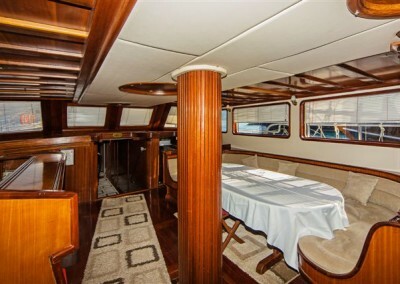 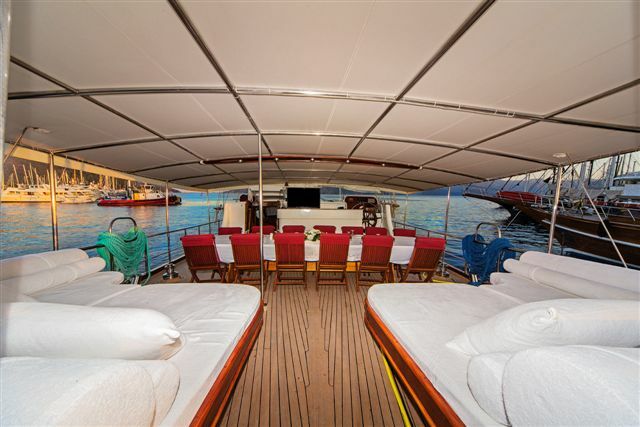 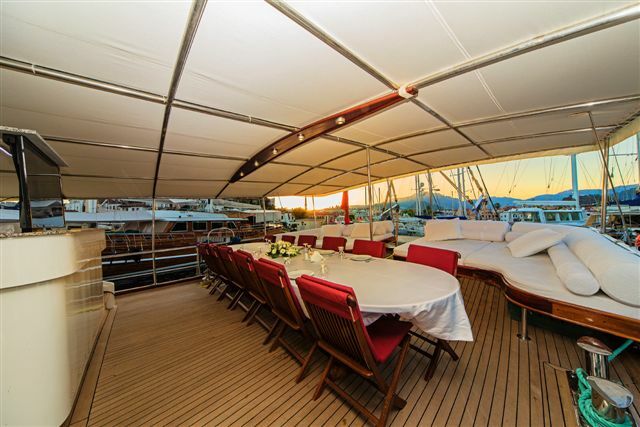 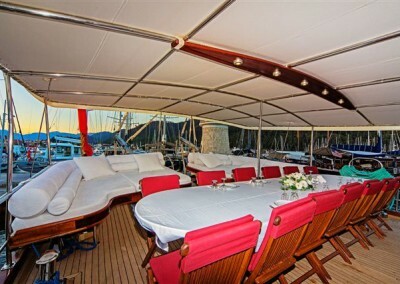 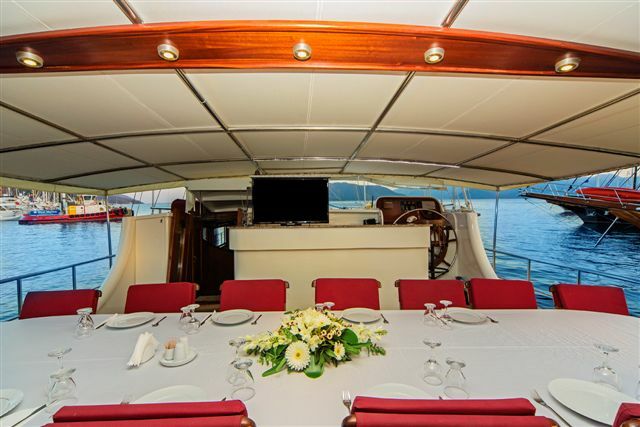 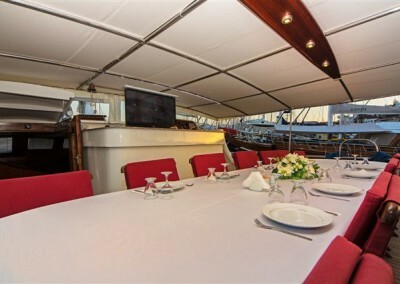 The aft is furnished with a large mahogany table and chairs for alfresco dining and social gatherings; as well as over-sized lounging cushions. 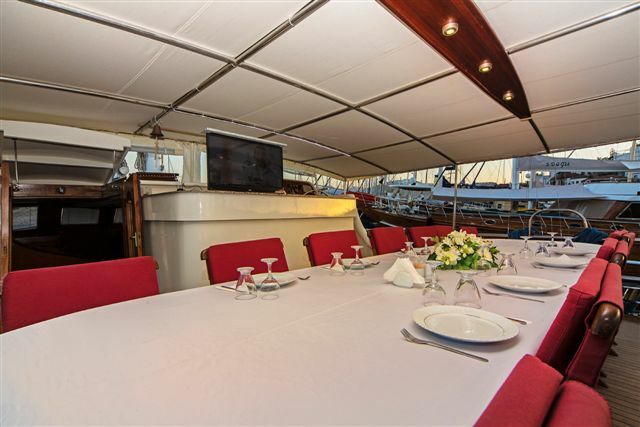 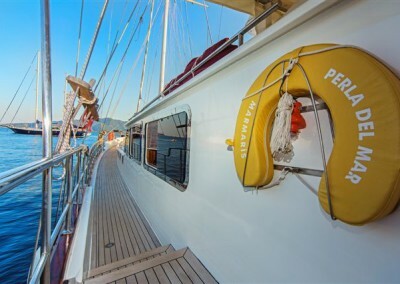 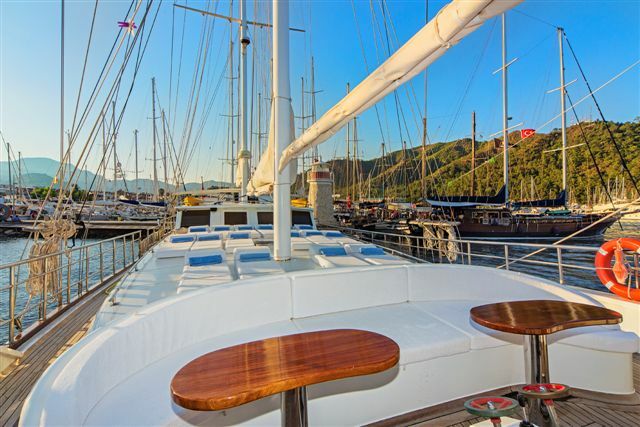 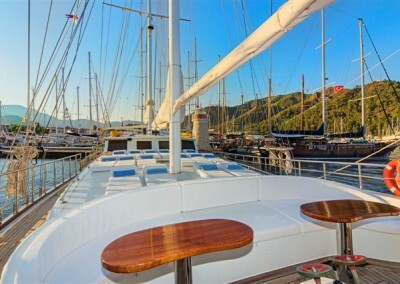 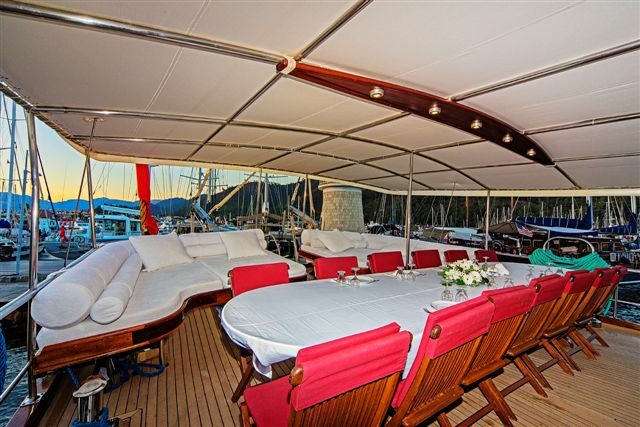 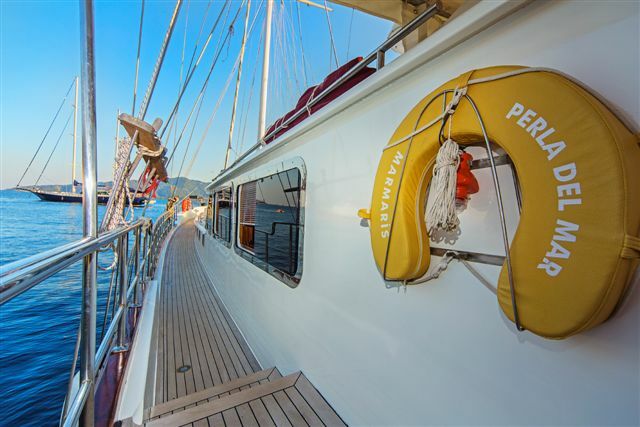 The Perla Del Mar gulet is served by a crew of 4; namely Captain, cook, and two deckhands. 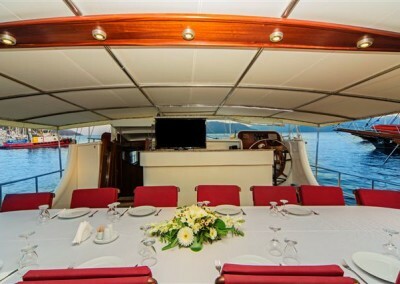 Guests will enjoy a selection of waters which also include water skis. 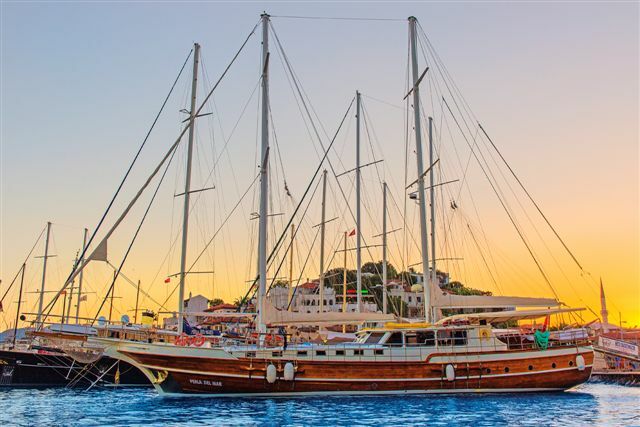 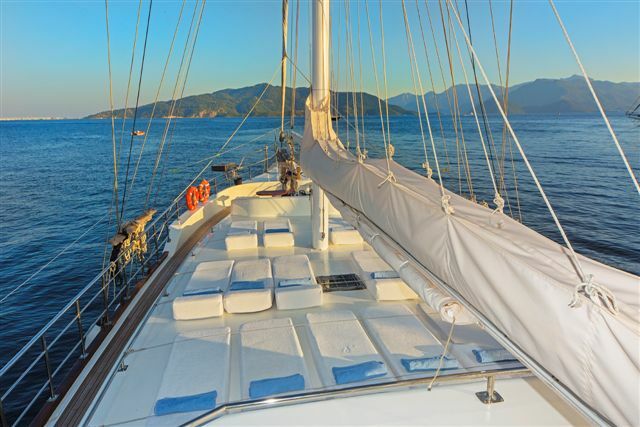 An ideal, yet affordable gulet charter for large groups.